COAL India, ONGC and Indian Oil Corporation have emerged as star financial performers among PSUs in 2015-16, whereas steel giant SAIL, state-run telecom operator BSNL and national carrier Air India incurred most losses, a government survey has showed. The annual report on the performance of Central Public Sector Enterprises has been released by the Ministry of Heavy Industries and Public Enterprises, Department of Public Enterprises. for the financial year 2015-16. It is laid in both the Houses of Parliament every year during the Budget Session. Heavy Industries Minister Anant Gete said, "The overall performance of CPSEs in India has shown improvement during the financial year 2015-16 over the previous year despite declining commodity prices and a subdued global economic scenario. The overall net profit of the 244 operating CPSEs went up by 12.54% to 1,15,767 crore in 2015-16 from 1,02,866 crore in 2014-15." On divident payment by the PSUs to the exchequer, the minister said, "The CPSEs have been making a substantial contribution to the Central Government through payment of dividend, interest, corporate taxes, excise duties etc. The contribution by the CPSEs through these avenues increased by 38.63% to Rs 2,78,075 crore in 2015-16." As many as 320 CPSEs (excluding insurance PSUs) came within the scope of the Survey in 2015-16 (as on 31.03.2016) as against 298 CPSEs in 2014-15 (as on 31.03.2015). 29 new public sector enterprises have been added to the list of CPSEs. The Public Enterprises Survey, tracking the performance of CPSEs in 2015-16, revealed that the top three loss-making CPSEs -- SAIL, BSNL and Air India -- incurred a loss equal to 51.65 per cent of the total loss made by the top 10 loss-making PSUs. CPSEs in 2015-16. SAIL entered the list of top 10 loss-making CPSEs, apart from ONGC Videsh, Rashtriya Ispat Nigam, PEC and BHEL. Mangalore Refinery and Petrochemicals, STCL, Fertilizers and Chemicals (Travancore), Air India Engineering Services and Hindustan Fertilisers Corporation went to the profit zone in 2015-16. 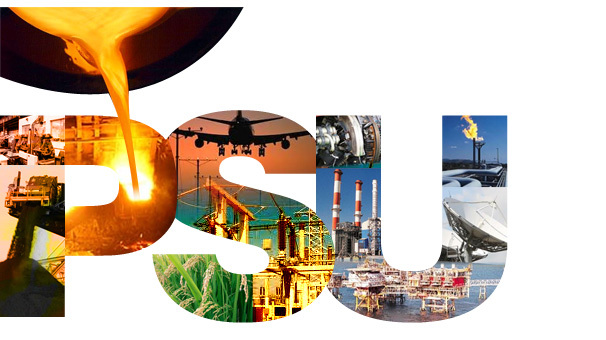 The most profitable PSUs -- Coal India, ONGC and IOC -- contributed 17.82, 17.45 and 11.34 per cent, respectively, to the total profit earned by the top 10 profit-making CPSEs during the year, the survey tabled in Parliament revealed. Hindustan Fertilizer Corporation and Mahanadi Coalfields entered the list of top 10 profit-making CPSEs, whereas NMDC and South Eastern Coalfields are out of the list. The top 10 profit-making companies accounted for 63.46 per cent cent of the total profits made by all (165) CPSEs during the year. The top 10 loss-making companies claimed 79.81 per cent of the total losses made by all the 78 CPSEs during the year. Total paid up capital in 320 CPSEs as on 31.3.2016 stood at Rs 2,28,334 crore as compared to Rs 2,13,020 crore as on 31.3. 2015 (298 CPSEs), showing a growth of 7.19%. Total investment in all CPSEs stood at Rs 11,71,844 crore as on 31.3.2016 compared to Rs 10,95,554 crore as on 31.3.2015, recording a growth of 6.96%. Capital employed in all CPSEs stood at Rs19,68,311 crore on 31.3.2016 compared to Rs 18, 66,944 crore as on 31.3.2015 showing a growth of 5.43 %. compared to Rs 19, 95,176 crore in the previous year showing a reduction in turnover of 7.04%. Total income of all CPSEs during 2015-16 stood at Rs 17,64,754 crore compared to Rs 19, 65,657 crore in 2014-15, showing a reduction in income of 10.22%. Profit of profit making CPSEs stood at Rs1,44,523 crore during 2015-16 compared to Rs1,30,364 crore in 2014-15 showing a growth in profit by 10.86%. Loss of loss incurring CPSEs stood at Rs 28, 756 crore in 2015-16 compared to Rs 27, 498 crore in 2014-15, showing an increase in loss by 4.57 %. Reserves and surplus of all CPSEs went up from Rs 7,71,389 crore in 2014-15 to Rs 7,96,467 cores in 2015-16, showing an increase by 3.25 %. Net worth of all CPSEs went up from Rs 9,84,409 crore in 2014-15 to Rs 10,20,737 crore in 2015-16 registering a growth of 3.69 %. Salary and wages went up in all CPSEs from Rs 1,26,777 crore in 2014-15 to Rs 1,28,263 crore in 2015-16 showing a growth of 1.17 %. Total Market Capitalization (M-Cap) of 46 CPSEs traded on stock exchanges of India is Rs 11,06,766 crore as on 31.03.2016 as compared to Rs13,27,393 crore as on 31.03.2015 showing a reduction of 16.62%.